Villa Punta Coral is a spacious Caribbean dream home located on the Samana Peninsula in the Dominican Republic. Beautifully located 60 meters from the shore up coral, ocean deep blue is part of the adventure. It is also right on the migratory route of humpback whales frequently to observe the whales directly from the terrace (end of December - 15 March). The architecture of Villa Punta Coral is breathtaking and typically uses local materials, including a thick roof of palm leaves. The style of the furnishings and decor is in perfect agreement with the calm life, simple but yet elegant Caribbean. Each piece has the equipment needed to enjoy a comfortable stay. 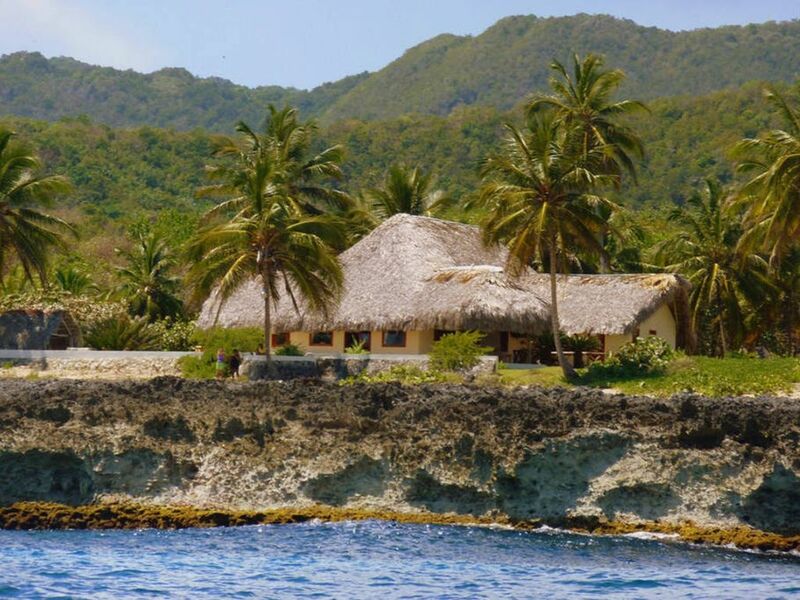 Villa Punta Coral is a place of serenity, refuge, renewal and escape. The house is surrounded by a lush garden with palm trees, shrubs, flowers and grass. It also has a small private beach with umbrellas made of palm leaves, and offers spectacular views of the Bay of Samaná. Sunrises and moon breathtaking on the vast expanse of the blue sea combined with the rustle of the breeze in the palm trees, everything is agreed to create a truly extraordinary outdoor living at Villa Punta Coral. The swimming pool, outdoor barbecue and the large shaded terrace invite to spend time outdoors. A gazebo offers welcome shade and space for a hammock that allows you to relax to the soothing sound of the ocean. At the entrance of the property, a large parking area is located close to the keeper's house. The guard, Radhames offers a 24/7 hour security, maintains the garden and clean the pool. The wife of Radames, Sandra cleans the house every day for 5 hours. Pets are allowed under certain conditions, but know that two well-trained guard dogs roam freely on the property. We had a terrific stay at Villa Punta Coral! It was a nice change from staying in Punta Cana at an all inclusive resort. You can find nice fresh fish down a little road towards the ocean in Los Cacaos. The best market is Mimasa just past the third roundabout in Samana. The view is lovely. The villa is lovely. The pool is lovely. Thank you for a terrific stay! We greatly appreciate your positive feedback and are happy that you enjoyed Villa Punta Coral and its surrounding area. If you're in the neighborhood again, be sure to stay with us again for a while. We'd be happy to have you. Pour des séjours de plus de 30 jours, demander un devis, car nous pouvons vous faire un offre spécial selon la période et la durée de votre séjour.